Ecclesia Semper Reformanda: Why Am I a Catholic? On Sunday 4 November 2012, I preached the following homily at St. Mary's Catholic Church in Greenville, South Carolina. Thirty years ago tomorrow, on 5 November 1982, to the astonishment of my friends, to the bewilderment of my family, and to my everlasting wonderment, I was received into full communion with the Catholic Church. As unexpected as that turn in my life was, even stranger was the day fourteen months earlier when I woke up in the morning an atheist and a scientific materialist and went to sleep that night a disciple of the Lord Jesus Christ. That day of my conversion to Christ was unexpected on two counts: First, from the age of thirteen I had been a sincerely convinced atheist, and second, I chose Princeton University for my undergraduate work, in part, because it was far from the Christ-haunted South of my childhood. 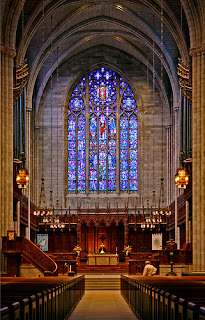 I went to Princeton precisely to escape the ignorance and superstition I saw dripping from everything in this part of the world and in the hope of living with others of similar convictions in what I then regarded as the light of pure reason, and to arm myself for battle I enrolled during my first semester in a course called “Christianity and its Critics.” So, to find myself a few months later introduced to the Lord Jesus by students and teachers at Princeton was a life-changing surprise. The final moments of my conversion to Christ in October 1981 constitute for me an indelible experience of fire: purifying, transforming, illuminating fire. When the fire passed and I came back to myself, I turned to my friend and classmate who was the indispensable instrument of grace that night and asked where I could go to be baptized, and immediately I was confronted with the scandal of division among Christians. 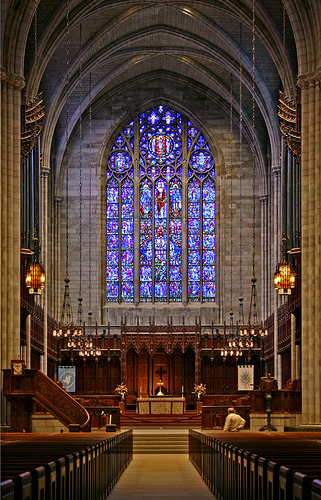 Why aren’t Lutherans Presbyterians? Why aren’t Anglicans Baptists? And why is it that the only thing to which they all agree is that they aren’t Catholics? In my search for an answer to those questions, I turned to the only clergyman on campus whom I knew: an Episcopal priest. He sketched a brief account of the very messy history of heresy and schism among Christians and suggested that I could approach my search in one of two ways: start from our time and work backwards or start from the beginning of Christianity and work forwards to find the causes of the disagreements and separations that afflict the Church. And then he added that since there is only one Lord, one Faith, and one Baptism, I did not have to wait until I sorted through this mess to be baptized. So in January 1982 I was born again by water and the Holy Spirit in an Anglican font, even as I continued to read about the life and faith of the first Christians and the shape of the Church in which they lived together. My teacher was Father Peter Stravinskas, and he spent the next few months explaining what I needed to know to make a profession of faith with a clear and certain conscience, often while we strolled through the peerless campus of Princeton University or that of the nearby Institute for Advanced Study. 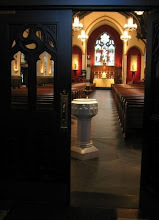 At length, on the evening of 5 November 1982, I stood before the altar in the chapel of the Poor Clare Monastery in Bordentown, New Jersey, and professed the faith of the Church in the ancient Creed of Nicaea and Constantinople and then added “I believe and profess all that the holy Catholic Church believes, teaches, and proclaims to be revealed by God.” With those words, I was a Catholic, and in the next few minutes I received the sacraments of Confirmation and the Holy Eucharist to complete my sacramental initiation into the Lord Jesus and his holy Church. And here I am today, thirty years later, still in wonderment that I should be a Christian and a Catholic Christian at that, especially because the secular and rationalist existence I so eagerly sought as a boy is now available everywhere. Indeed, it is not only available, it is pressed upon us from every side with great urgency by the chattering classes who have come to believe that all religions, particularly Christianity, and Catholicism most especially, are the enemy of human freedom and flourishing. And we must acknowledge that those who regard the Christian faith as superstition and the Catholic Church as a bulwark of darkness and ignorance are presently having their way with us. One in ten Americans today is an ex-Catholic, and more than half of those who still identify themselves as Catholics do not live the Catholic faith or practice our religion in any observable way. This great falling away is happening throughout the West, and that is among the many reasons why the just concluded meeting of the Synod of Bishops in Rome spent three weeks discussing the Church’s need for a New Evangelization to transmit the Gospel in our time. But while I am delighted that the bishops are taking notice of these things, the truth is that the Gospel of Jesus Christ is not transmitted by new offices in the Roman Curia or more documents from the Roman Pontiff; the Gospel is transmitted by disciples of Jesus Christ who have come to “believe and profess all that the holy Catholic Church believes, teaches, and proclaims to be revealed by God.” What is necessary for those of us still trying to transmit the Gospel in this way is to acknowledge that the Church is now perceived by many people as a stumbling block rather than an instrument of communion with God. We see the Church that saved Europe from the Dark Ages, that built schools, invented hospitals and founded universities. We see the Church that designed and raised up the most glorious buildings our civilization has ever produced and then filled them with art and music of unsurpassed beauty. We see the Church that brought the light of the Gospel to every part of the world even as it was first encountered by Europeans. We see the Church that provided the intellectual and cultural foundations for the rule of law in a limited State and for the scientific revolution to which so many people today look for their salvation. In short, we who already believe what the Church believes see her as a light-filled instrument for the transmission of the Good, the True, and the Beautiful and as a perpetual witness to the Father’s eternal Plan of Salvation for the entire human race in Jesus Christ. But many of those who do not share our faith look at the same Church and see a loathsome agent of oppression and bastion of ignorance, an unwanted survival from the Middle Ages which arrays itself against human progress and happiness by resisting the sexual revolution and teaching that there is an objective moral law which we do not make and to which we are all accountable, and not a few of those who see the Church in this way are baptized Catholics. Some of them are ordained. That too is among the many reasons we need a New Evangelization. But before we can be instruments of the New Evangelization, we need to know why we are disciples of the Lord Jesus and members of his Catholic Church. Thirty years ago I came at these questions from outside the Church, as a young man seeking to understand the world and his place in it, but most Catholics are born into Catholic families and take these things for granted. These people are often called cradle Catholics to distinguish them from those like myself who are usually called converts, but the term cradle Catholic implies that one can be born a Catholic and that is simply false. No one is born a Catholic; one can only be born again a Catholic, and even the Baptism of infants is a sacrament of faith - the faith of the Church, the faith of the child’s parents, the faith of the child’s godparents. This is the faith in which the child should be instructed and formed until the day when he can renew with his own heart and mind and voice the promises of his Baptism and take his place among the disciples of the Lord Jesus who believe and profess all that the holy Catholic Church believes, teaches, and proclaims to be revealed by God. In other words, all Catholics must be converts of one sort or the other or else they do not know what Catholicism is. At this point, though, we must acknowledge a perennial problem in the life of the Church: Catholics do not always live according to the faith we profess. In fact, many of us fail to do so in ways that are scandalous and even horrifying, and when an errant believer is also a bishop or priest, then the damage done to the Church’s credibility is even greater. As a consequence, those who do not share our faith, including some souls who might feel drawn to the Church as a fellowship of Christ’s disciples, can point to the notorious sins of Catholics with dismay and then try to justify rejecting her claims because of the cognitive dissonance that always follows a conspicuous contradiction between the faith we profess and the lives we lead. Two answers to such objections are readily available. First, that all men have sinned and are deprived of God’s glory is an essential truth of the Gospel, and no one should ever be surprised when Christians sin. Disappointed perhaps, but never surprised. The sacraments do not deprive us of our freedom, and fallen men and women - which all Christians remain - struggle every day not to misuse their freedom. When Christians sin, even scandalously, even when they are ordained, they are in a strange way confirming the faith they profess: we are all sinners in need of redemption, and we cannot save ourselves. That’s the first answer to the charge that the sins of Christians put the lie to the claim of the Church’s holiness, and the second answer is a bit more abstract. Just as the divine and human natures of the Lord Jesus co-exist in one person so that the Son of Mary is both God and man, so too in the Church the human and divine co-exist so that she is both a fellowship of sinners and the spotless bride of Christ. The holiness of the Church comes not from the moral character of Christians; it comes rather from the indwelling of the Holy Spirit who is the soul of the Body of Christ, giving life and holiness to the Church so that she may fulfill her Great Commission to teach the Gospel to all nations. There is and can be no separation between the Lord Jesus Christ and his Church, and it is only in and with the Church that we can come to know, love, and serve the Lord Jesus as he fully reveals himself to us in Word and Sacrament. When I became convinced of this truth thirty years ago, I went to a priest and said “Father, I have to become a Catholic,” and three decades later I remain grateful every day for the grace of God that drew me to full communion with his one, holy, Catholic, and apostolic Church - the Church of Jesus Christ fully and rightly ordered through history, the Church governed by Simon Peter and his successors, the Bishops of Rome, in union with all the bishops of the world who stand in apostolic succession as authentic teachers of the Gospel, which is the power of God unto salvation for all who believe. So, why am I a Catholic? Because I believe it’s all true. Because I believe and profess all that the holy Catholic Church believes, teaches, and proclaims to be revealed by God. And because I want everyone I know, everyone I meet to find in the Catholic Church what I found: the goodness of grace, the truth of the Gospel, and the beauty of holiness. Here, in the Catholic Church, is where we find the freedom of the children of God; here in the Catholic Church is where we are born again to everlasting life; here in the Catholic Church is where we are nourished with the Body and Blood of the Savior; here in the Catholic Church is where we let go of sin and all of our false selves and discover our true dignity and destiny - a glory that surpasses anything we can imagine. But those of us who believe these things must take note. In the service of leading others to find these truths in the Catholic Church, we can no longer begin our witness by saying “the Church teaches,” because as we have seen, the Church herself is a stumbling block for so many. Instead, we must now begin with the simple witness of our own lives and then lead others to know, love, and serve the Lord Jesus Christ by helping them to receive him with saving faith as the Way, the Truth, and the Life. To do this in full measure, we must of course eventually come to “the Church teaches,” but to avoid the difficulties aroused in our time by the Church herself, we should begin the journey of evangelization by talking about what “the Gospel reveals” not with what “the Church teaches.” And to do that, we must know and believe the Gospel ourselves, something which is directly dependent on our own knowledge of Holy Scripture, our own life of regular prayer, and our own love for others in action. Now, for those of you who were hoping (or fearing) that I would preach today about Tuesday’s election, please understand that I just did. You see, every serious political dispute is, at root, first a theological dispute, and when one believes everything that God has revealed for our salvation, then many political arguments are already resolved. For example, one who believes everything the Catholic Church teaches to be revealed by God does not support abortion, does not support the redefinition of marriage, does not support the reduction of the natural human right to freedom of religion to the laughably inadequate substitute of freedom to worship, and does not support massive government interference in free markets of honest exchange. Moreover, those who believe everything the Catholic Church teaches to be revealed by God not only do not support these things; they also do not vote for politicians who do. And in this way the Church is involved in the political process, not as a partisan actor but as an evangelical witness. The Gospel of Jesus Christ not only changes individual lives, it also forms cultures and shapes entire civilizations, only a small part of which involves politics. And right now, our civilization is dying and is in need of a new proclamation of the timeless truth of the Gospel of Jesus Christ, the same yesterday, today and forever, but proclaimed now with new ardor, new methods, and new conviction.